An adult barred owl (16-3775) arrived at CROW from Alva, FL on December 12 after being found not moving in the middle of the road with a left eye injury. Upon examination by CROW hospital staff, the owl was alert with mild dehydration and a retinal hemorrhage in the left eye. Medication was administered in the eye and will be checked for progress in a couple of days. 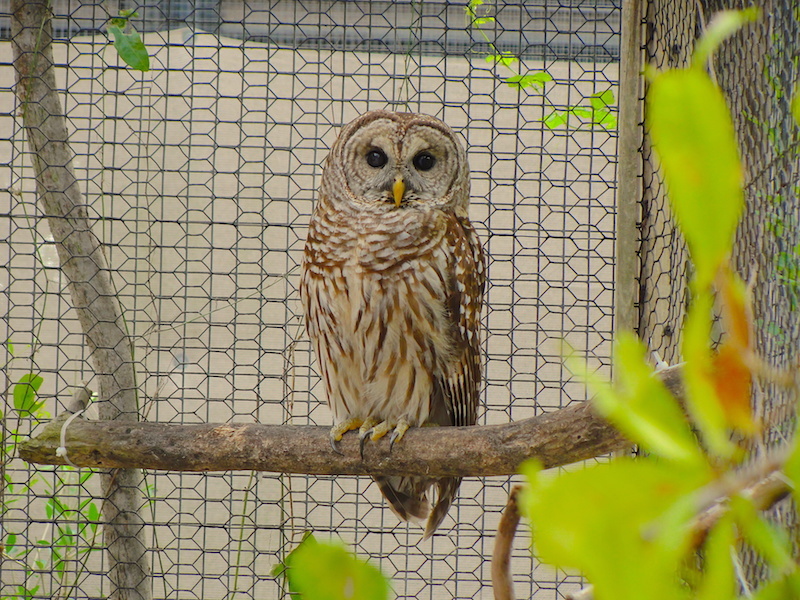 The barred owl is bright, alert and responsive (BAR) and its left eye continues to improve. It can now follow movement on the left side. The owls weight has decreased slightly but it is not a concern at the moment. The owl is maintaining its weight with a diet of mice, although it is not eating on its own and needs assistance. Eye coordination is improving and eyes are tracking hospital staff when present in front its enclosure but menace reflex (blinking) does not seem to be present. The owl's eyesight has improved and has been moved outside to the flight enclosure where its taking small flights. Once it begins to take longer flights and builds its flight stamina it will be released. 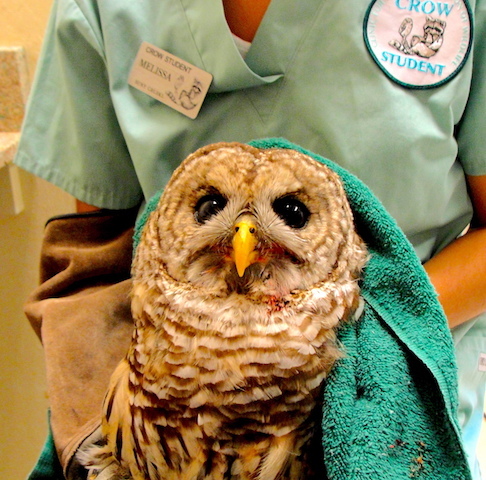 The barred owl successfully completed its rehabilitation at CROW and has been released.